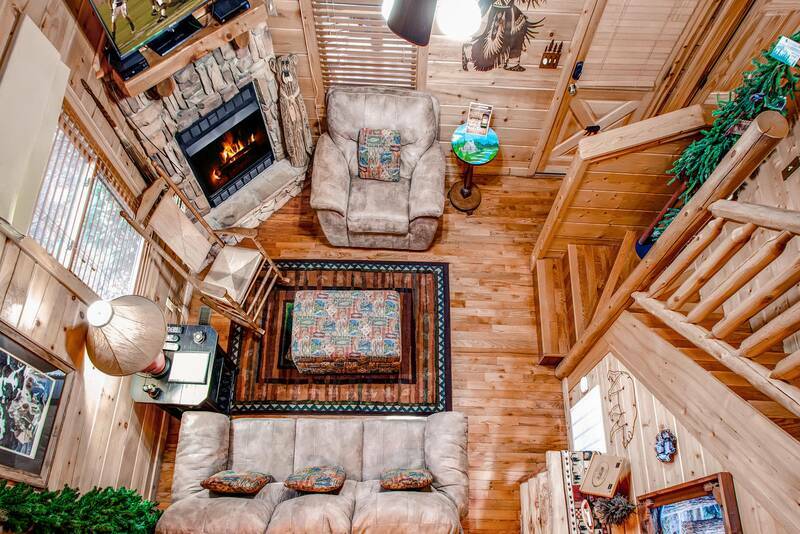 Call of the Wild is a true 2 Bedroom log cabin beautifully landscaped and furnished in mountain/Native American decor. 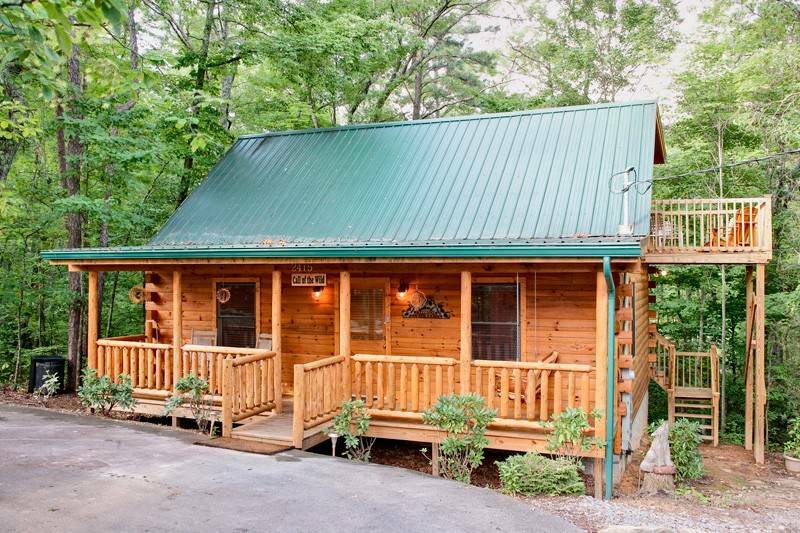 It sits on a private wooded lot at the mountain top with seasonal mountain views. 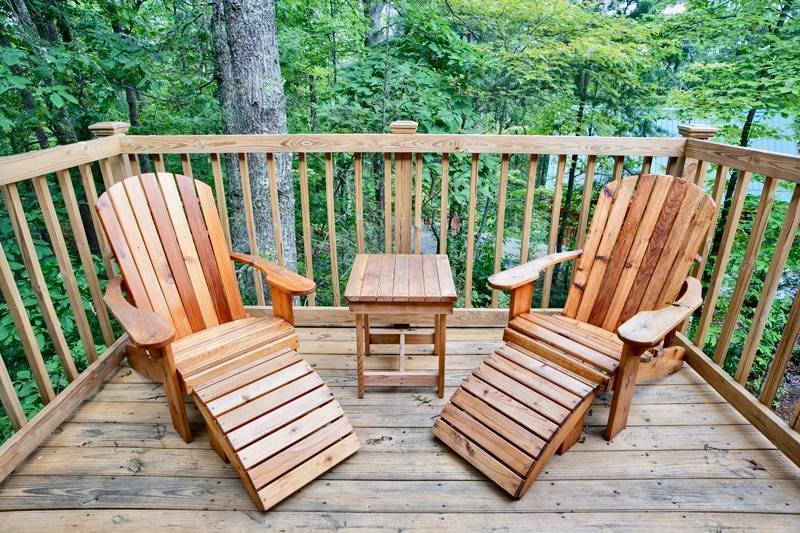 The dead end road is great for evening walks, sitting on the front porch in one of the rockers or on the beautiful locally handmade wood swing or just relax on one of the decks to perhaps view the natural wildlife - maybe even a black bear! 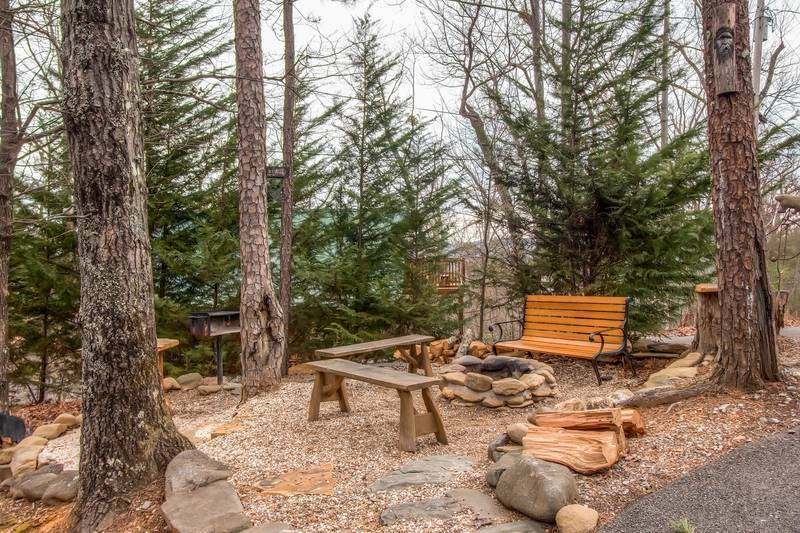 The charming outdoor fire pit area with charcoal grill and log benches is perfect for fireside fun. Call of the Wild is ideal for enjoying the beauty and serenity of the Smoky Mountains. On entering the cabin, there is a light-filled living room "The Bear Room" with lots of glass, cathedral ceilings, hardwood floors, gas fireplace, Queen sleeper and 36" TV with DVD player. 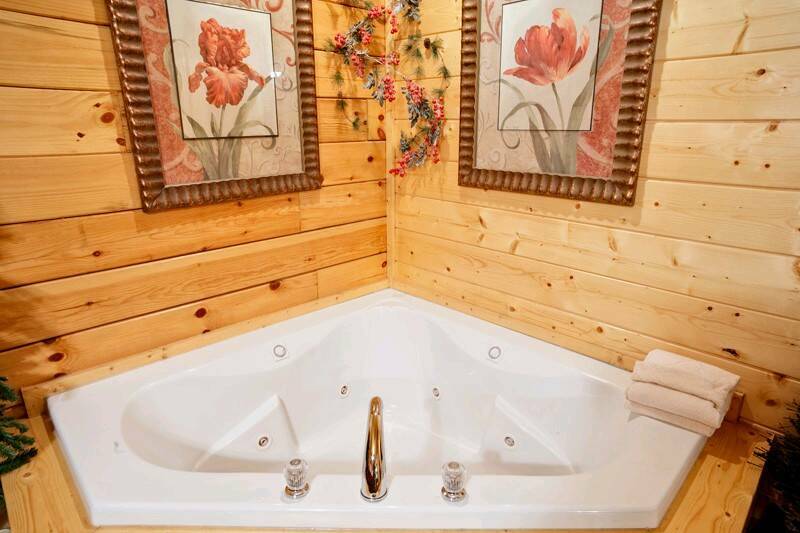 The fully equipped kitchen has a dining table perfect for playing cards or other games and opens to a private screened deck with hot tub and open air deck with locally handmade wood furniture. The romantic master bedroom "The Moose Room" has a king size handmade log bed, jacuzzi tub, electric fireplace, ceiling fan, 36" flat screen TV with DVD player and beautiful full bath including a large walk-in rock shower with glass moose etching, unique pedestal rock vanity and slate floors. Upstairs is a loft with pool table and another deck with seating for four also including locally handmade wood furniture. 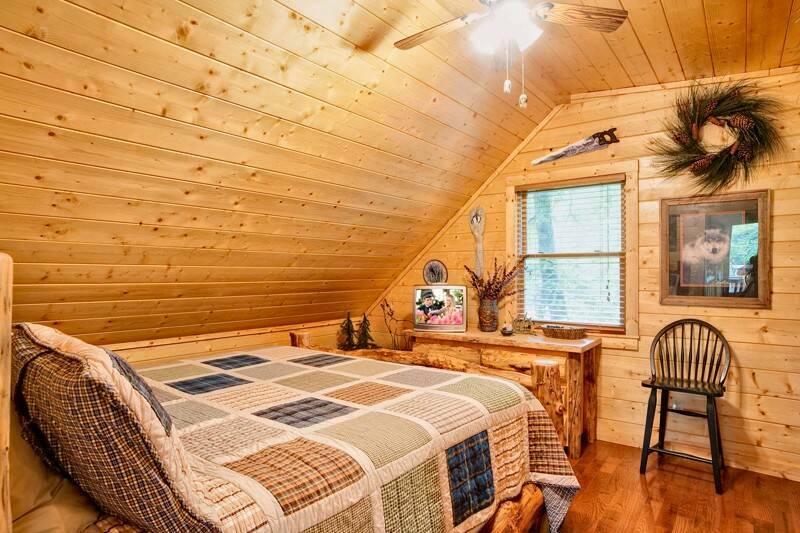 The second bedroom "The Wolf Room" with its sloping ceiling and window high in the trees, also has a full bath, king size handmade log bed, ceiling fan and TV. All three TVs are cable connected with movie channels. With its romantic mountain and native American decor, Call of the Wild is a great place for a honeymoon, two couples or even a family of six. *THIS CABIN IS NOT PET OR SMOKE FRIENDLY! Good location , need more accessories in the kitchen. But overall a nice stay and a cool place to stay. Plenty of artifacts . Really enjoyed the stay! It was very clean and the cabin was amazing. I didn’t want to leave to head to Nashville. Everything exceeded standards and can’t wait to stay again soon! The cabin was very organized. That shower was awesome! The cabin was very clean and just amazing! 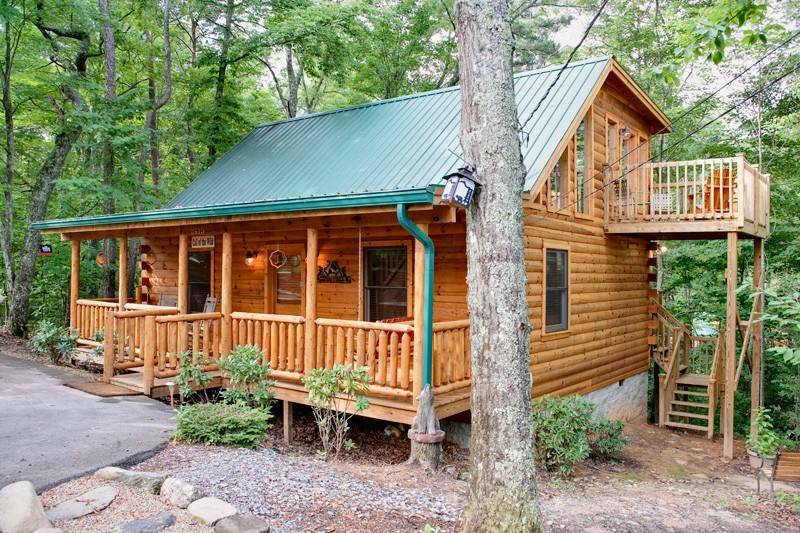 We would definitely rent this cabin again! This was a wonderful place and perfect for a quiet get away with my husband and our one year old. 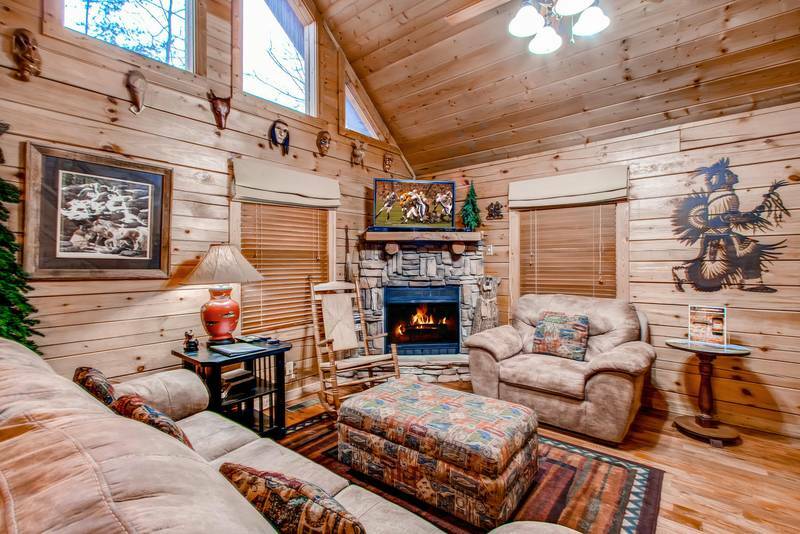 This cabin was perfectly located and wonderfully designed for relaxing in the mountains. This is our 3rd time staying at Call Of The Wild and boy did it hold up to it's name! We spotted many bears throughout the week and love how cozy the cabin is. Beautiful decor, just close enough to attractions but far enough away to feel peacefulness. The cabin is very nice. I would recommend the call of the wild to others and would stay there again. Very clean. It is a little bit of a drive to get there but we didn’t mind it. We loved Call of the Wild!!! It was situated in a quiet peaceful area and on our way back from town one day, less than 1/4 of a mile from the cabin WE SAW A BABY BEAR!!! Literally in 30 years of coming to the mountains this trip was the best. The cabin was clean, welcoming, and relaxing. Our 3 boys loved it! My family had a wonderful stay at your cabin, enjoyed every minute. Cabin was beautiful, friendly staff. My family had a wonderful spring break vacation at your cabin. Cozy little cabin had a great stay. My kids thought the bear was real at first. The cabin was beautiful !!! Location is amazing. Everything we did in Pigeon Forge AND Gatlinburg was only about a 20 min ride. 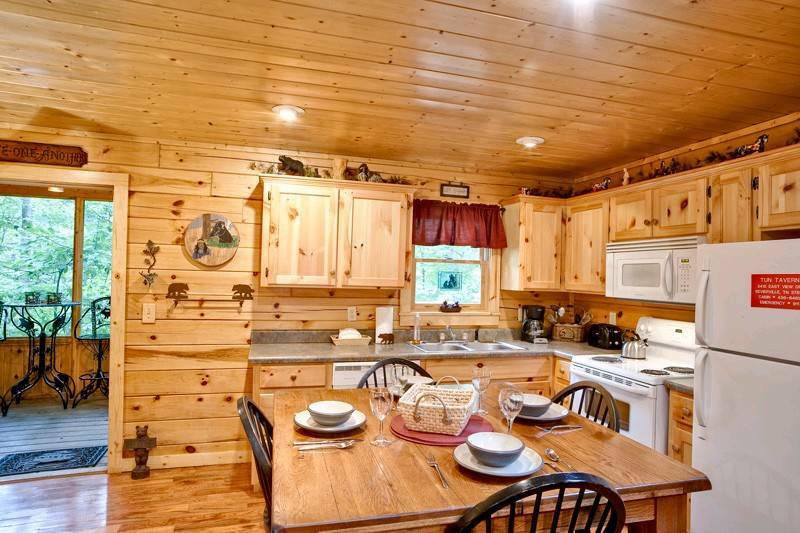 The cabin is in a nice quiet area away from all the traffic so you can relax. Thank you for helping to make our family vacation a great one. We'll definitely be back. Everything was as advertised. I loved all the different ornaments that made the cabin the Call of the Wild. Every time I went by something I noticed something different. I enjoyed the pool table very much. Was a great pass time the day we were snowed in. Cabin was clean and well maintained. It was peaceful and extremely relaxing. Everything we hoped for and more! We will be back soon and look forward another fantastic experience. Cabin was very clean and well equipped. The staff at Heartland were great from the onset of reserving this cabin. Very friendly, helpful, and professional. They called to offer us an early check-in, which we accepted. Then they called to make sure everything was ok, and to our liking once we got to the cabin. Upon every paid night's stay, you receive a free admission to several attractions of your choice. We used the free admission to the Ripley's Aquarium. The cabin was absolutely gorgeous on the inside. Very well kept, clean and had every amenity needed. 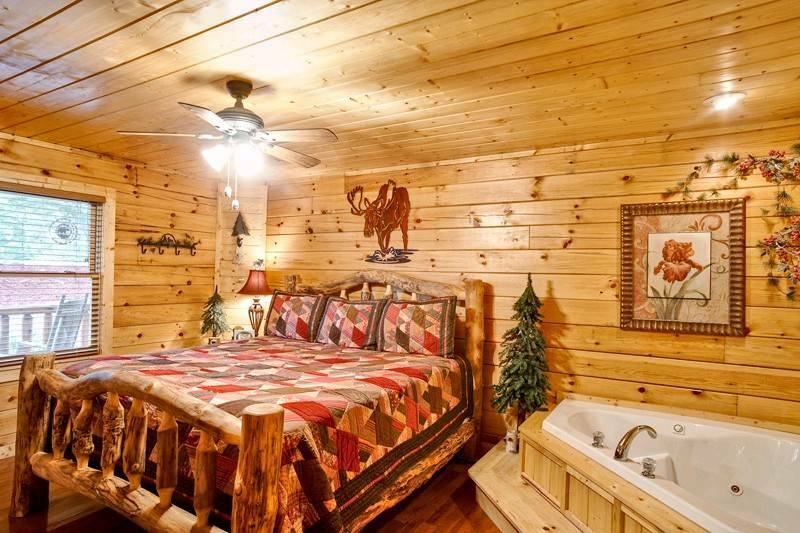 I will definitely call Heartland again for my next reservation, and will ask for this same cabin. We loved it, and had a wonderful Christmas there! The cabin was very clean. Staff was very friendly and helpful. Heartland Cabin is the only way I'll go from here on out! Thanks for making my 5 year anniversary so special. Heartland Rentals is a great company to work with. This is the first time we have used them and we will definitely use them again. When I called to ask about a couple of the cabins they answered every question I had and even pointed out things about each cabin that I hadn't thought of. Ashley checked us in when we arrived at the office and she was so friendly and helpful. Gave great directions and answered all my questions. She is a great asset to the company. Heartland Rentals online booking was easy. Liked that they called for verification after online booking. All staff that I spoke to by phone or in person were very friendly and always reaffirmed to let them know if we needed anything. Call of the Wild cabin was beautiful, well maintained and very clean!! We loved it!! 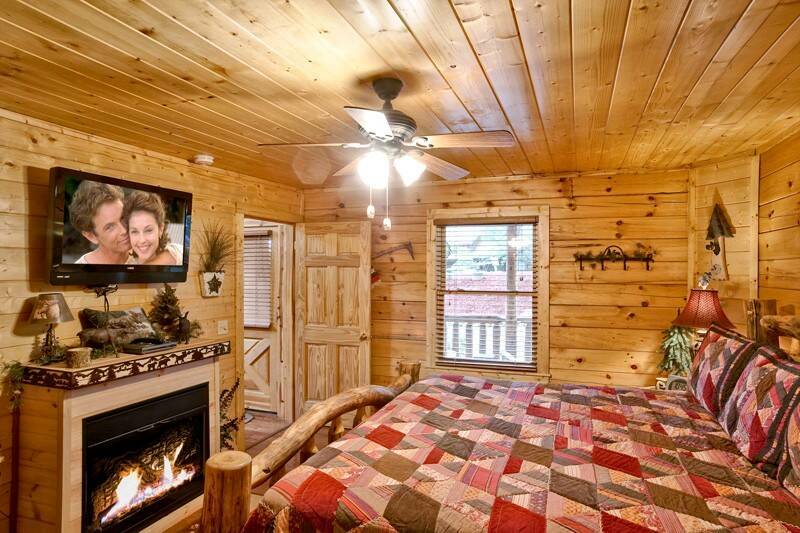 The cabin was just as the pictures showed. We had an excellent week going Horseback riding, whitewater rafting, hiking and just enjoying the area around Gatlinburg. We will definitely be back to stay again. The cabin was perfect for our weekend getaway. It was nice, clean, and had everything we needed. It wasn't too far from either Pigeon Forge or Gatlinburg. I would love to stay there again! Cabin was everything we wished for very relaxing and cozy. Nice to get the fresh air and just relax. We had a great trip and the cabin was awesome. I would stay there again. Everything was perfect from the second we got there. Friendly, helpful, and caring staff. Everything in the cabin was just as the pictures show. Great for a couple or small family. We will be staying with heartland again and again. Overall, we enjoyed our stay at Call of the Wild. When we were to check in, the office had closed early do to illness, but they called us en route and left the information in the lock box, so it was not a problem. The first night we spent there, the heater failed and it was very cold in the cabin. The next morning, we called when the office opened and the repair person was there promptly and had it fixed by about 10:30am. Otherwise, the cabin was very clean and comfortable. It was a nice place to stay for our family of five. A couple of things you should know: the checkout procedure page was missing from your binder , and the coffee maker was leaking, so it may need to be replaced. We had a wonderful stay in our cabin. It had everything we needed, was clean, and in a beautiful setting. The kids especially loved the hot tub. My husband loved the pool table. We all enjoyed making s'mores over the fire pit. Heartland rentals were easy to work with and very friendly. The discounts they offered were great too! We simply could not be more pleased with Call of the Wild.... had everything we needed and we wanted to be there!!!! Much needed spouse time! Very beautiful and relaxing stay at Call of the Wild cabin. From the time we arrived at the Heartland Rentals office in Pigeon Forge, we had an amazing stay. The directions to the cabin were easy to follow and spot on. The cabin was beautiful and well decorated and was as described on the website. The guest book was fun to read. Everything worked and we had no issues during our stay. We really enjoyed the fire pit and grill area as well as the hot tub. The hand crafted furniture was a great addition and we even took a drive out to the place that made it. Even though the drive from the parkway to the cabin was a little insane it was well worth it. The cabin was spacious and very clean. The only problem was that there were smelly candles and potpourri around the cabin. As I am highly allergic to these smells, I had to remove them to the back porch. Other than that the stay was wonderful. Thank you for a wonderful time. not close enough to center of Gatlinburg for old people like us..also needs bigger garbage can outside. Overall trip was great .we all had a excellent time. We always love staying with Heartland. The staff is very friendly and helpful. The cabins are nice and have lots of amenities. We have been using Heartland for years and plan to continue using them for our mountain stays. The cabin was not only beautiful, but the location was perfect. Even though there were cabins around us, we still had privacy. 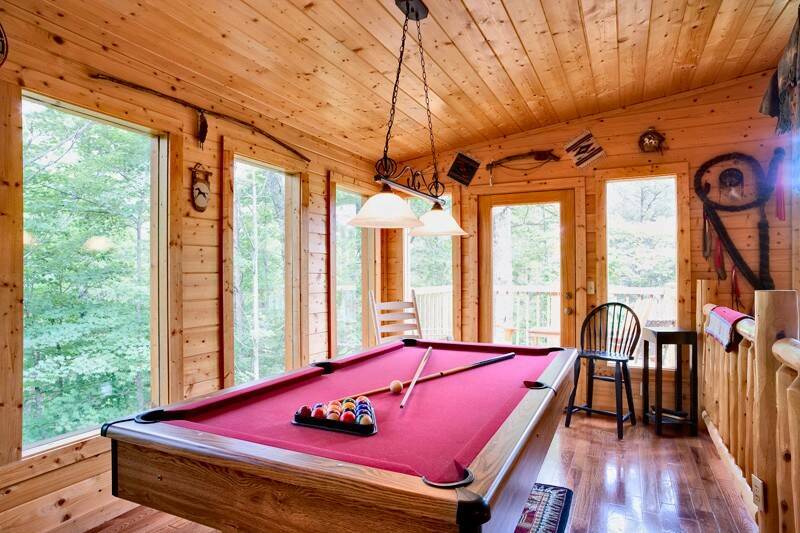 We will definitely be back to this cabin!!! Everything was great. Staff was friendly and very helpful. We would stay with Heartland Rentals for our next visit to the area. Comfortable cabin with everything needed for a relaxing and fun vacation. Couldn't have asked for anything more. Loved this cabin. Hot tub clean & relaxing. Decorated beautifully. Loved the outdoor firepit too. Fireplace in living room great. Cabins near but still felt like we had all the privacy we needed. Call of the wild is a beautiful cabin! We loved the wall in rock shower and my kids loved the hot tub and outside fireplace where we made smores! We will be back for our next vacation! We have stayed in Call of the Wild before so we decided to revisit. We LOVED it again! 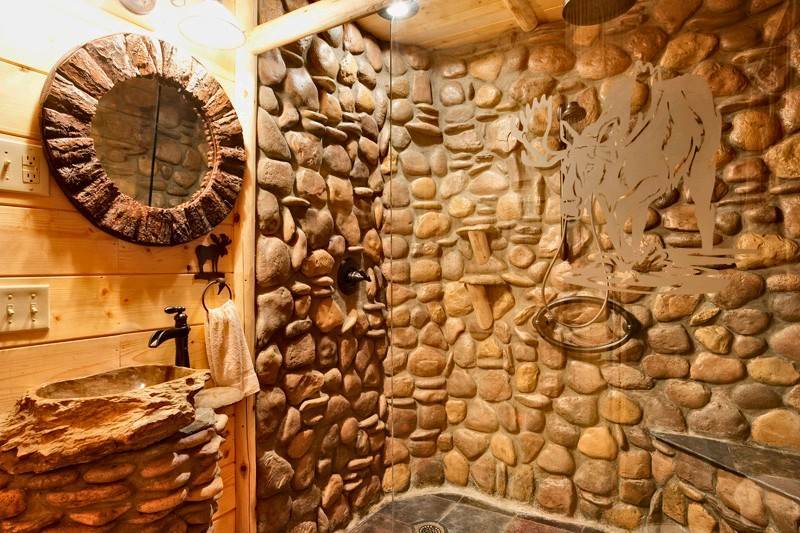 It is nice and cozy and we absolutely love the stone shower. Friendly Staff. Cozy Cabin. Efficient Amenities but It would have been nice to have another skillet for cooking. Thanks! Our stay was really great! 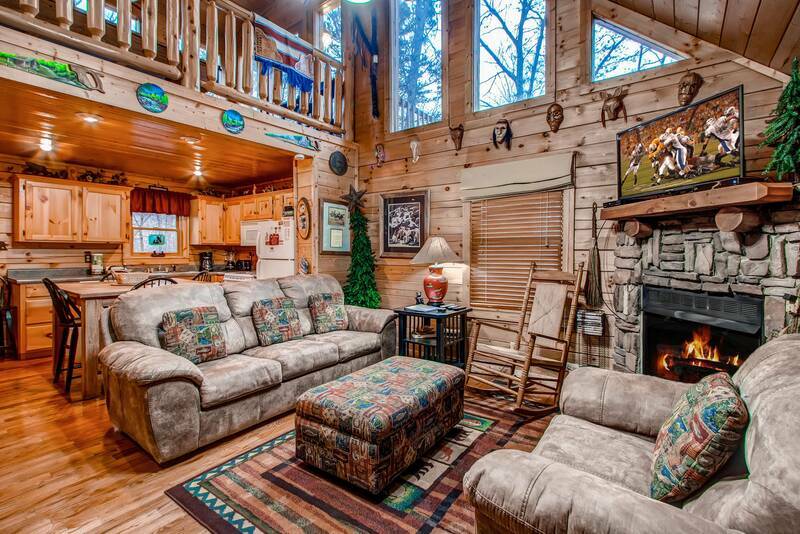 !, the cabin is so cozy, warm and had every you may need to relax and have a wonderful vacation.. Wonderfully awesome and blessed experience from the best and friendliest people you will find anywhere, made our 40th anniversary very special. The staff at Heartland treat you like the most valued and treasured family member they have. 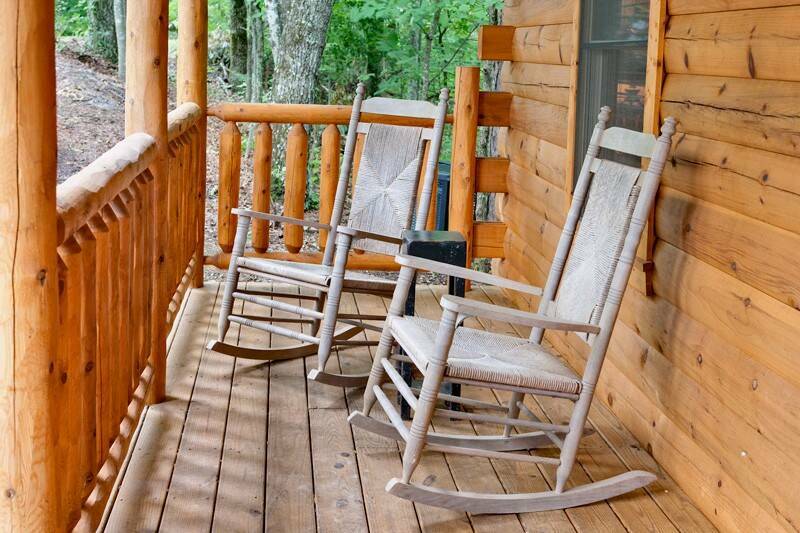 The cabins are beautiful and immacultantly clean. 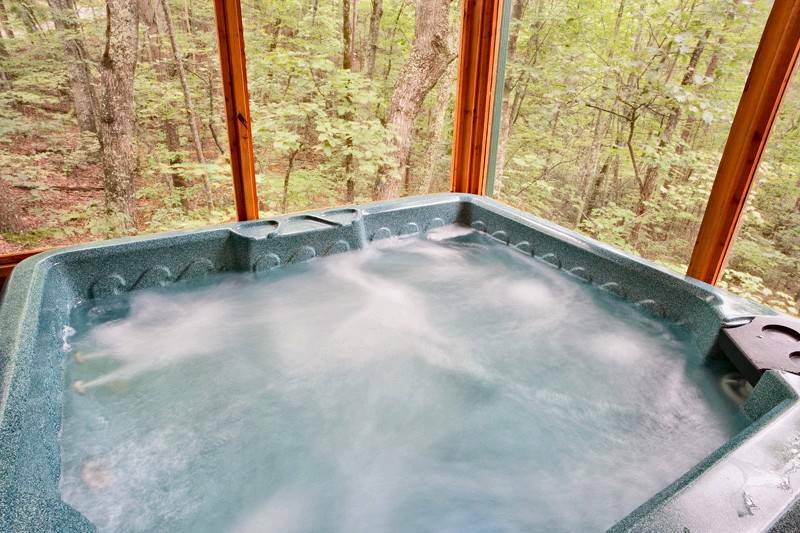 With all the attractions in the area you are close yet secluded enough to experience the Great Smokies and sit out in the back and watch wildlife, rest in a hot tub or sit and roast marshmallows. One family back at our church told me they are tempted to come just to stay at the cabin all week and go into Pigeon Forge or Gatlinburg for a couple hours a day to take in a show or do some shopping. I think that's what we will do next time. We loved it and would highly recommend it, the shows were great, dining in the area was fantastic and we went to the aquarium and seen the Lumberjack Fued. They are truly a gateway to fun, even more than that, Doug, Shelia and the entire staff goes out of their way to make sure you are well taken care of and as Christians they all show the love of Jesus Christ towards you. They helped make our 40th anniversary, wonderful, worry free and great. Thank you, Heartland. The BEST birthday present I have ever received staying in the mountains in the Call Of The Wild cabin. A great place to stay for my families celebration. Thank you. This place was gorgeous, well kept and above all of our expectations. Will be returning again. 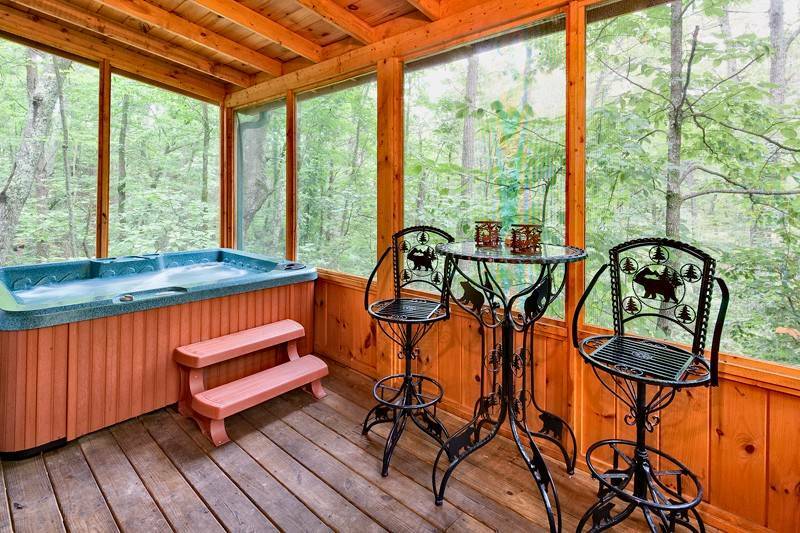 Gorgeous cabin with all the amenities. Everything was in good condition. overall a very nice place to stay!! The cabin was so nice! Had everything you could think of needing just like at home! We received so many compliments on our pictures of how beautiful it was! I can't wait to come back!! Wonderful beautiful and cozy cabin! ! Relaxing Visit. Excellents Cabins and Amenities. We Loved it!!! 25th Anniversary. Great Location. Cabin was peaceful, Very Clean, Great Amenities. Will be Back. Perfect place to relax ! We loved the cabin, for 4 days it let us forget about our worries. Our cabin and trip was beautiful, memorable, exciting and relaxing. This cabin and the areas around it ate calling us to come back again and again for years to come. The cabin was more than we had expected. Plenty of room for all four of us. 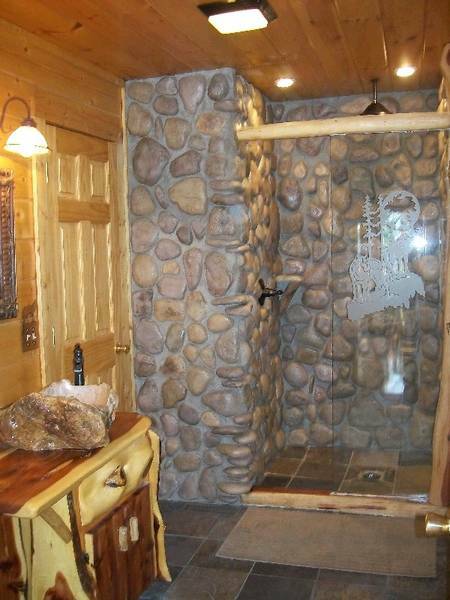 The shower was a great feature and one of the main reasons we chose this cabin.